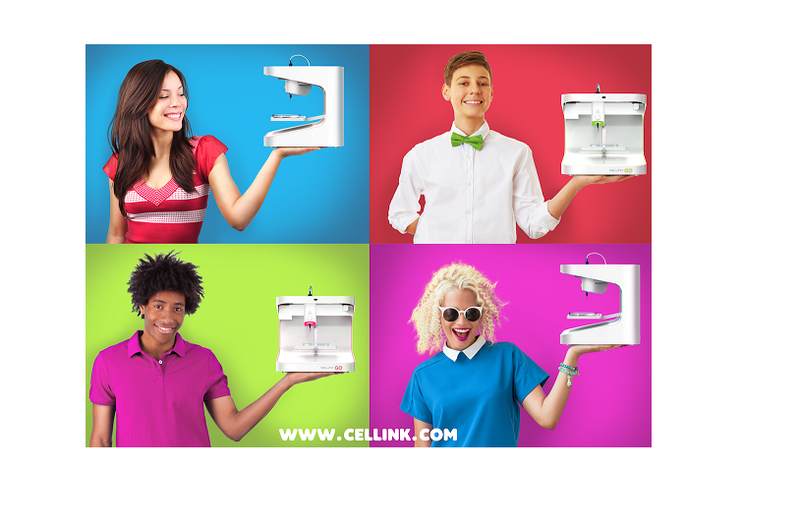 CELLINK has announced the official launch of the new 3D Bioprinter and educational platform, CELLINK GO, specifically made for high school and university level education. Developed by the CELLINK team led by Hardware manager Johan Löfgren and product developer Adam Micha, CELLINK GO is set to revolutionize bioprinting education for the younger generations. Students between the ages of 14 and 20 were chosen to assist in the development of CELLINK GO to ensure simplicity and easy to use functions to help bring CELLINK GO into the classroom. Together with bullying prevention organizations Be Strong (bestrong.global), Speak Up (gospeakup.com/se/) and three leading bioprinting scientist Dr. Ali Khademhosseini, Dr. Angela Panoskaltsis-Mortari and Dr. George Christ, CELLINK will launch the anti-bullying campaign “Fit for Science” in conjunction with the launch of CELLINK Go.